When a user discovers that their precious memories and private information have been lost from Samsung Galaxy S8, it is a problem that they want resolved right away. In the past, the user will have to find a technically minded person or a professional who worked with mobile devices to restore this data if they could. Today, restoring lost data has been made easy via a very good software application that anyone can use to complete this process. 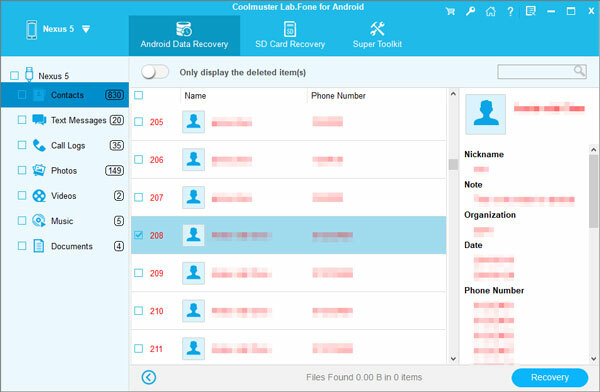 This is one of the main reasons why many people recommend using Coolmuster Lab.Fone for Android to solve their data loss problems. This software application can restore almost anything that can be lost on an Android device, such as call history, contacts, text messages, photos, videos, music, documents. So, this software has received a lot of great positive reviews and feedback since its inception. It supports overall Android devices, not only Samsung Galaxy S8, S7, S7 Edge, S6, S5, S4, S3, Note 7, Note 4, Note 3, Galaxy A9/A7/A5, etc., but also other Android brands. Specifically, because the process of data recovery for your Samsung Galaxy S8 only takes 2 to 3 steps to complete, with the easy to use Lab.Fone for Android. Read and follow instructions. How to Recover Lost Data from Samsung Galaxy S8? After running the Samsung Data Recovery program, use a USB cable to connect your Samsung Galaxy S8 phone to the computer and once connected successfully, the program will detect your phone quickly. Select the file types which you need to retrieve, then tap on "Next" button to go on. 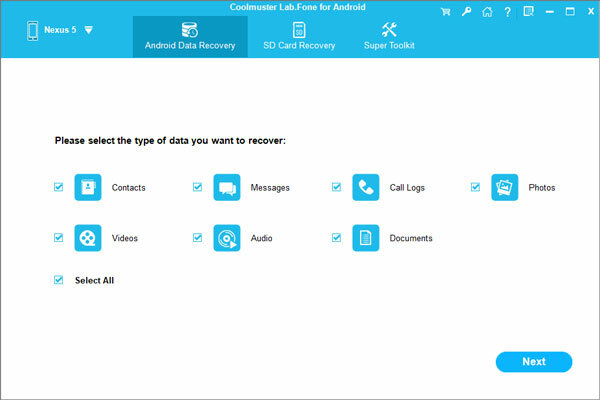 The Samsung Data Recovery tool will start to analyze the data on your device and show them in different folders on the left. Please choose the data categories (Contacts, Messages, Photos, Videos, Audio, Call History, Documents, etc.) and preview the contained files in details. Mark those you want to get back and click "Recover" to save them on your computer.